Calgary Gold is proud to offer free diamond assessments with a GIA Certified Graduate Gemologist. As part of our commitment to provide excellent, up-front customer service, we are happy to offer free appointments with to sell diamonds, where we make a no obligation offer after a consultation. If you are looking for a quick idea of what your diamond might be worth, we also offer phone estimates to give you a rough idea of the value of your item as well as a full explanation of our diamond buying process. The ability to give an accurate estimate will depend in large part on whether your diamond also has a certificate, but even if you don’t, we are happy to answer any initial questions you might have. We purchase diamonds that are over 1/4 carat in size. There is never any cost or obligation when bringing in your diamonds or jewellery, but we do request that you make an appointment ahead of time. How Much Do We Pay for Diamonds? The value of diamonds is determined by the 4 C’s: Carat, Colour, Clarity, and Cut. At Vancouver Gold, you will be involved in every step of the assessment process, so that you can understand the characteristics of your diamond – and be confident in your purchase offer. Our diamond buyer is well-connected and familiar with the prices being offered by local competitors, as such, she is able to offer industry-leading payouts to our customers. 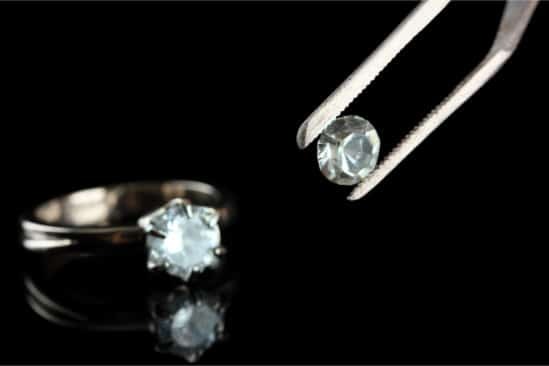 Please contact us for a price estimate or to make an appointment to have your diamonds evaluated and to sell diamonds. Calgary Gold are proud members of the Canada Gold network of gold buyers with locations from coast-to-coast. Visit Calgary Gold to sell all types of gold in Calgary, or visit CanadaGold.ca to learn more about our company and the gold buying process.